Flying into Augusta for a shoot? Rent your light kits from Augusta Motion Picture Support. Sound mixers aren't known for their expertise in lighting a set, and this one is no different. On the other hand, I am often asked by out of town crews where to rent lighting and grip gear in Augusta. If all you need is a small light package for interviews, why not eliminate one stop on your way into town? I can bring your lights to set with me. Shooting a commercial or indie film and need to rent audio gear in Augusta, GA? I now offer any of my audio equipment packages as rentals as well. Take a look at the Equipment page, and let me know what you need. If you need advice, give me a call and let tell me a little about your shoot, and I'll help you pick out the rental package that's right for you. 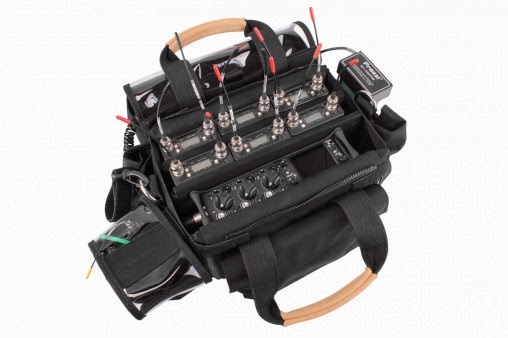 The latest in the 6-series of mixer recorders from Sound Devices is the 633. A 6 input mixer with a 10 channel timecode recorder built in. I'm continually amazed at how Sound Devices is able to pack so much power into such a small package. With nearly everyone asking for wireless feeds from the sound mixer to camera, it's nice to know that I have the ability to add a back-up recording to any package, even on location and at the last minute. But the 633 is so much more than a mixer with a backup recorder. With the ability to record up to 10 individual tracks (6 inputs, 2 L/R main mix, and 2 aux busses) you can give your post-production team the ultimate in flexibility by giving them not just the Left/Right mix sent to camera, but individual isolated recordings of each input. Ask about iso recording when you book your next shoot! Copyright Augusta Motion Picture Support LLC. Powered by Blogger.